American Modern Insurance Group is a property and casualty company originally incorporated in 1965. Their parent company, American Midland goes back even further, tracing its history to 1938. 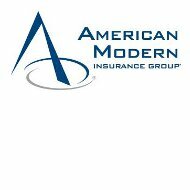 American Modern is based in Cincinnati, Ohio and provides a long list of personal and business insurance products. Unfortunately, personal health insurance is not something they offer. The company enjoys an A+ rating from A.M. Best. Enter your zip code right now to start searching for health insurance rates online. Information on all their products can be found on the company website. In the insurance business customer reviews are like gold. A cursory Internet search on the company name reveals that American Modern Insurance generally receives favorable reviews among its customers. This is odd given the fact that customer reviews typically tend to be primarily from those who are unhappy rather than those who are satisfied. The fact that American Modern sees such high numbers of positive reviews probably means they take care of their customers. Furthermore, the company hired a third party research firm to interview policyholders in 2008. The results of that study showed that more than 90% of customers would refer American Monitor their friends and had plans to renew their policies in the years to come. The company provides a section on its website where you can read customer reviews. Along with customer reviews, another gauge of an insurance company’s success is its financial reporting. Our research turned up a financial report that appears to be from 2010. That report showed American Modern with total assets of more than $908 million, a policy surplus in excess of $267 million, and working capital of approximately $5 million. These numbers show that American Modern is in good financial health. The American Modern Insurance Group makes its home in Cincinnati Ohio. They also utilize local, independent agents in all the states where they are licensed to do business. An agent can be found in your area by contacting the parent company at the address listed below. Unfortunately, American Modern does not provide an agent locator tool on their website. One of the things that garners positive customer reviews is a good customer service experience. American Modern prides itself on customer service and is dedicated to meeting policyholder needs in a manner that is as smooth and efficient as possible. They offer several different methods for individuals to access customer service including their local agents, a toll-free customer service telephone line, and a web-based platform. Their web platform is a bit unusual in that customers are not required to establish an online account. They can access all the tools on an as-needed basis simply by providing their policy number and address information. Customers can use the web platform to modify policies, request a printed copy, renew an existing policy, or make the payment. Everything is done in a secure environment so you need not worry about your information being stolen. American Modernist customer service also includes an online quote tool where you can enter your zip code to get the process started. Quotes come from agents in your local area due to the fact that different states have requirements. This type of quote tool will tend to be a bit more accurate than a generalized quote tool simply comparing national averages. Regardless, keep in mind that a quote is only a best guess. Once your information is verified by an underwriter your actual price may go up or down. American Modern is currently searching for a limited number of new employees. On their website, they have a career section, which provides a searchable jobs database, a link to submit your resume, and general information about working for them. They also provide a section for established insurance agencies who wish to become American Modern representatives. Once an agency is approved, they have access to an online suite of tools to help them manage American Modern policies. Online health insurance rates are available to you right now, if you enter your zip code below.